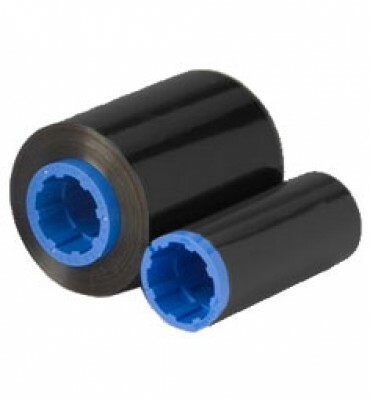 The Zebra 800015-101 Black Resin Ribbon is a Monochrome (single-color) ribbon.Monochrome ribbons are used primarily for line art, text and barcodes. A cleaning roll is also included. We did our research before buying our printer. We went with Zebra because of this inexpensive ribbon. We recently upgraded to a newer printer and I was pleasantly surprised when I learned that we could still use this inexpensive ribbon. This ribbon is very cheap but don't let the price fool you. It works very well and the printed barcodes are very crisp. We mostly print text and barcodes on a preprinted card and this ribbon saves our company a lot of money. We have been ordering this for years now. We've been using this ribbon for years on our Zebra P330i and we have yet to encounter a problem. It cost-effective and it works.